Product categories of Peristaltic Pump, we are specialized manufacturers from China, Peristaltic Pump, Filling Peristaltic Pump suppliers/factory, wholesale high-quality products of Filling Machine Peristaltic Pump R & D and manufacturing, we have the perfect after-sales service and technical support. Look forward to your cooperation! 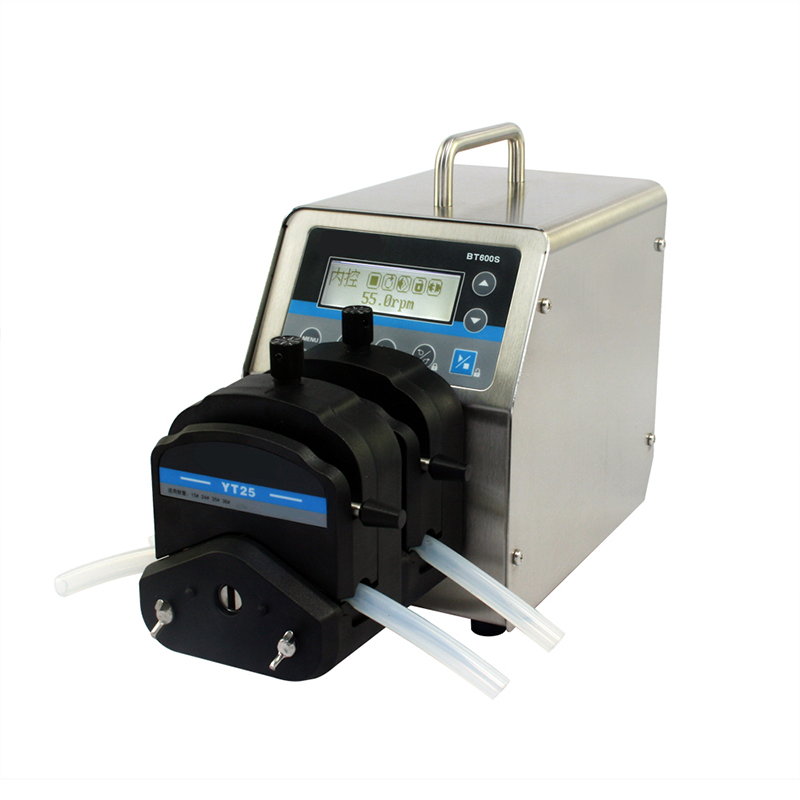 Peristaltic Pump consists of three parts: actuators, pump heads and hoses. 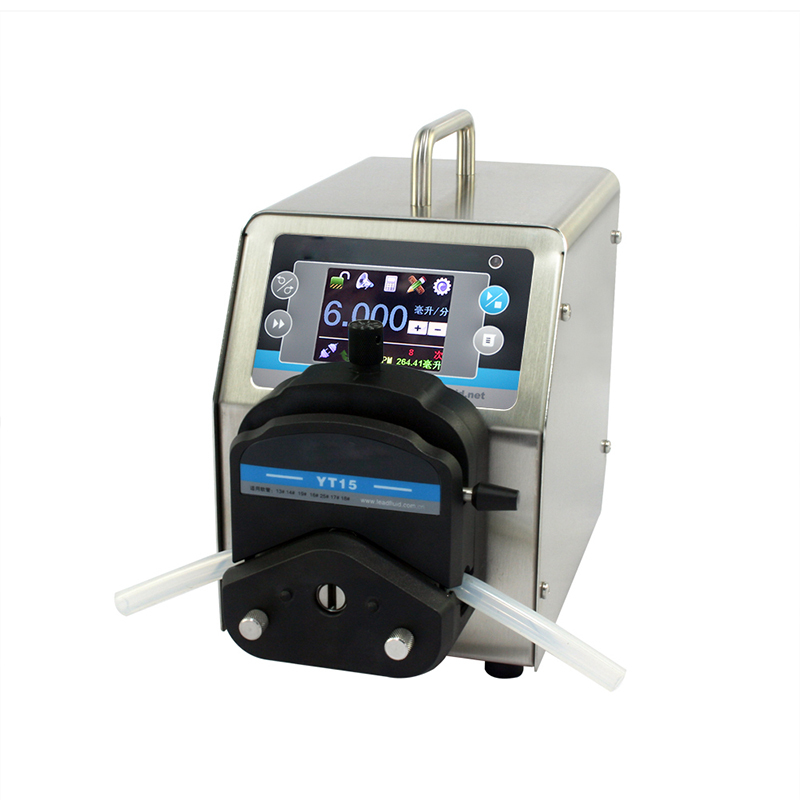 The main competitive advantages of the peristaltic pump are the fluid is isolated in the pump tube, the pump tube can be replaced quickly, the fluid can be retrograde, it can run and the maintenance cost is low. 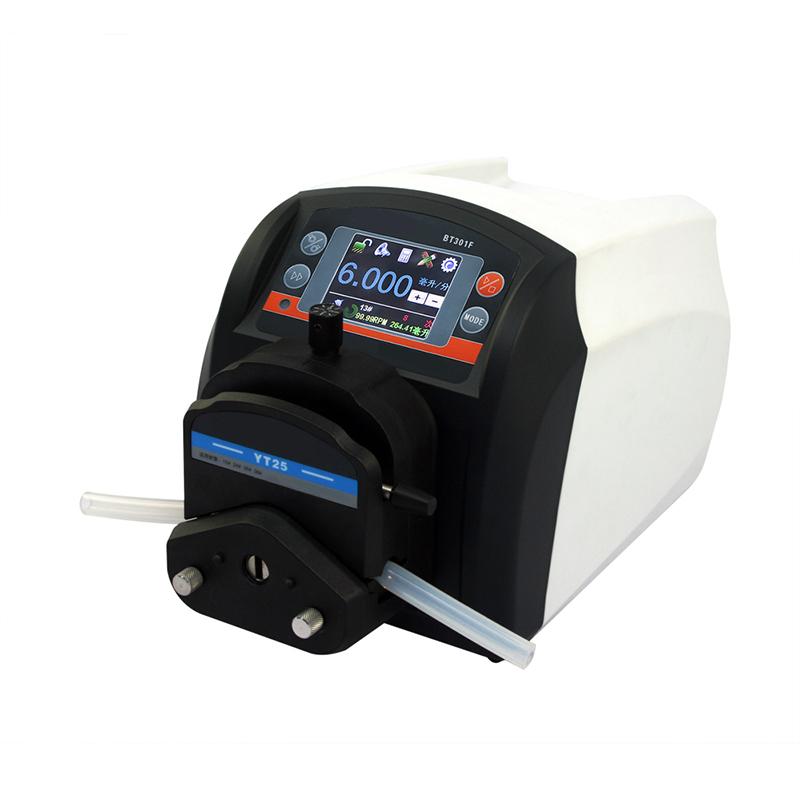 MINGYI peristaltic pump pumps fluid by alternately pressing and releasing the elastic conveying hose of the pump. Just like using two fingers to squeeze a hose, as the finger moves, a negative pressure is formed in the tube and the liquid flows. 1, No pollution: the fluid only contacts the pump tube and does not touch the pump body. 2, High accuracy: repeatability and accuracy. 3, Low shear force: an ideal tool for transporting shear sensitive and aggressive fluids. 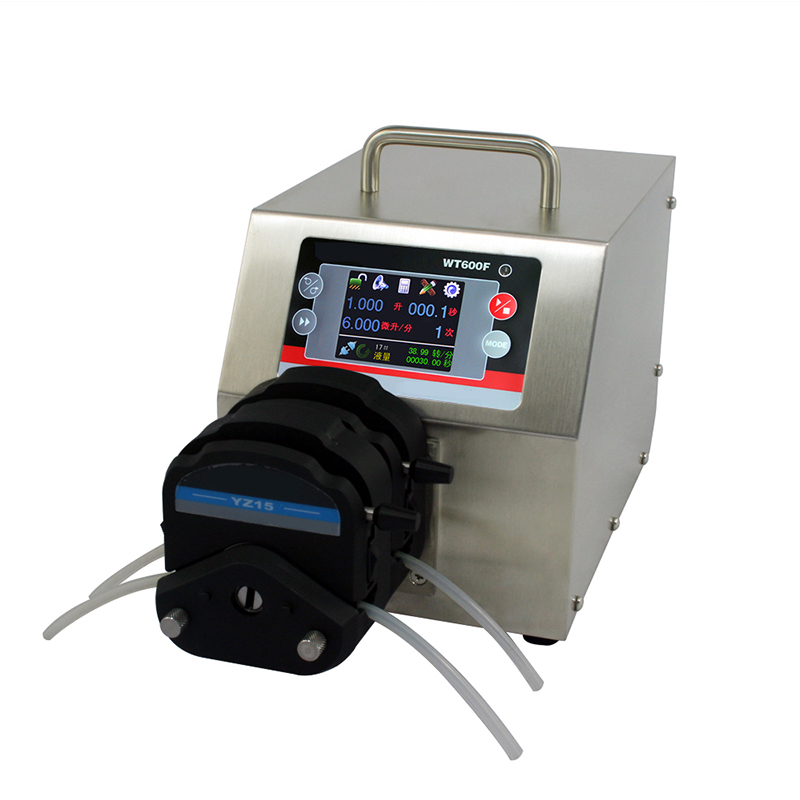 6, It has a two-way flow capacity; without liquid airlift, it will not damage any part of the pump; it can produce a vacuum of up to 98%; no valves, mechanical seals, and packing seals have no leakage and maintenance factors; it can easily transport solid, liquid or gas-liquid mixed phase fluids. The solid diameter of the allowed fluid is up to 40% of the inner diameter of the tubular element; it can deliver all kinds of materials, such as abrasive, corrosion, oxygen sensitive materials and various kinds of food, and so on. Only the hose is a replacement part, the replacement operation is very simple; the product is not in contact with any part except the hose. Pharmaceutical industry application: peristaltic pump in the pharmaceutical industry is mainly used for pharmaceutical coating and granulating and pharmaceutical packaging. 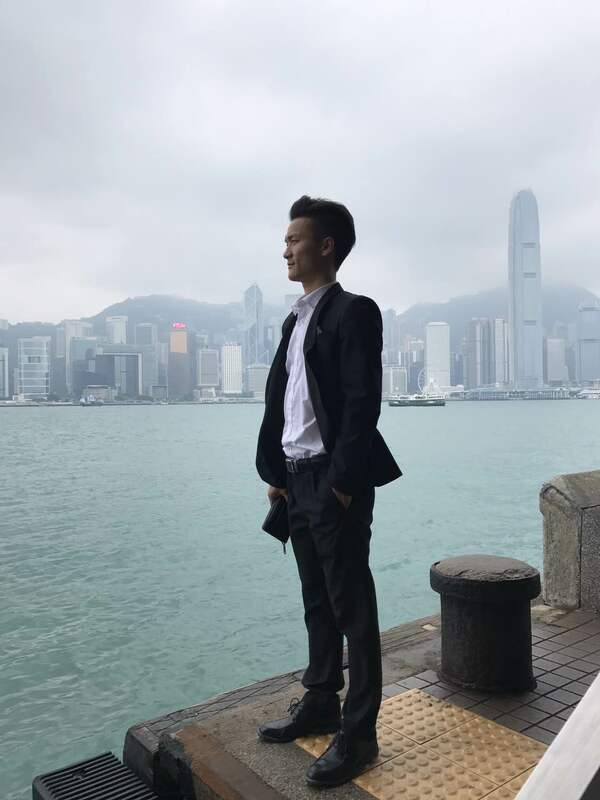 More product information, please kindly contact MINGYI salesperson.